These products have been designed for use in equipment racks or are multi-purpose and can be useful in rack applications. These products will vent and thus cool residential systems that are installed in standard 19" rack systems. When selecting these products, ensure that the proper product is used for the correct application. 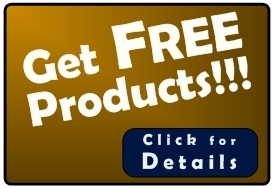 All of these are Professional Grade Products meaning they feature the exclusive and patented magnetic bearing system which is far superior to traditional ball and sleeve bearing fans which ALL other cooling brands utilize purely due to lower cost, or they simply do not know or care about quality. The products are also 'lifetime' products. With minimal maintenance they will truly last a lifetime. These are the same products used in mission critical systems at NASA, the US military, through the government, major technology corporations, and in countless yachts, homes, and businesses around the globe. Universal Cooler - 1RU (CP-UC) - At only 1RU, this unit is ideal for tight places in racks - for spot cooling or venting air into, or out of racks. Universal Cooler - 2RU (CP-UC-2) - For aggressively cooling rack components and/or venting air into, or out of racks. Component Unit (CP-CC-2FN, -4FN, -4WC, -FL, -9FN) - This unit is primarily for cooling larger components in a rack. It can be placed above or below components. 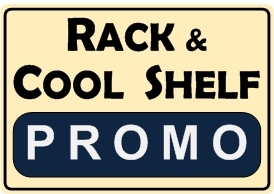 Rack Side Cooler - 2 Fan/4 Fan (RK-SC-2FN, -4FN) - For spot cooling components in a 2 or 4-rail open rack. Attaches to the side rails and can draw air into or out of a rack. Dual Fan Unit (CP-DF) - For spot cooling mid- to larger-size components and is also simply placed on top of components in a rack. These products come with a Limited LIFETIME Warranty. Cool Components products are designed and manufactured to live a very long life and in fact, indefinitely. This is done using heavy gauge steel and durable plastic housings and engineering to make the products easily serviceable. Of course there are no magic fans and while these fans last a very long time, and do so quietly unlike ball bearing and sleeve bearing fans, they will require normal maintenance and replacement but in a matter of minutes and with minimal expense, the products can be made 'like new' and end up lasting indefinitely. This means, design one system, maintain that system and not have to redesign and start over paying full price for new cooling products every few years like would be required with other cheaper products. This warranty covers the housings and other 'structural' parts of the products. It does not cover the fans which are guaranteed for 3 years and can be changed quickly, easily, and cost effectively. This section is primarily dedicated to products designed to cool standard 19" equipment racks. Cooling racks really involves a combination of principles found in the Cooling Products section and also Cabinet Venting. Due to this, there will be many parallels to those sections. While there may be several parallels, the products and some of the principles do vary. The advantage to racks from a cooling standpoint though is that the airflow is much more manageable especially when you have a full range of cooling solutions at your disposal. The key with rack cooling however is to properly match the product with the problem that will, or is being encountered. The general options when cooling racks is that you can vent into or out of the rack, directly cool components (spot cool), or cool from the side or back of a rack. The biggest challenge is to know whether or not to blower into, or out and away from components. We generally recommend directly venting hot air away from components which would mean to vent/exhaust the rack as much as possible. The fact is that blowing cooler air into a rack and simply mixing air in the rack does not guarantee that the heat is being fully dissipated. It will be helpful of course, but exhausting hot air simply guarantees that hot air is being directed away from components. Another consideration is that we are generally referring to open rack systems since those are most commonly used in the residential market. The primary exception is when rack systems are used in cabinetry which adds a few challenges but again, with various cooling solutions at your disposal, cooling the systems in either application will not be overly difficult. For open racks though, do not worry as much with air intake. But, with enclosed racks, it is more of a consideration but generally exhausting air will ensure that air is pulled away from components. Best Practice. Cooling products should definitely be considered prior to and during the initial lay out a rack. The heat producing components will require some level of cooling so it is better to plan for it now. Generally it is recommended to leave at least one rack space above each heat producing component and that way you can either use passive venting options (vented faceplates) or assisted cooling such as our 1RU Universal Cooler or Component Units. Large amplifiers and receivers should have at least two rack spaces above them with some level of cooling installed. Again, the best practice is to vent air away from the components so using the Universal Coolers or the 4-Fan Component Unit with Cover (CP-CC-4WC) are the best products for 1RU and 2RU cooling since the air can be directing into, or out of, the rack. These products also provide the ability to direct air upward or downward for more precise cooling. Common Issues & Misconceptions Related to Rack Cooling. At this point we are tired at looking at claims made by so-called cooling professionals with few to no credentials. In some cases, even the rack manufacturers do not fully understand the dynamics of effectively cooling their own rack systems. In other words, because they are rack manufacturers, this does not automatically make them experts in cooling. 1) CFMs and Airflow Requirements for Racks. To cool components, a huge amount of CFMs (cubic feet per minute of airflow) are not required. Each heat producing component in a rack needs proper spacing and airflow but massive CFMs are not necessary. Just consider how many cubic feet of air is in or around a rack and consider how many times that air will be cycled through the system. For this reason, 30 or 40 total CFMs is a lot of airflow provided that components are spaced properly and air is freely flowing around the components. However, in the end, it may not be uncommon to have 100+ cfm of airflow moving simply because the products are designed to maximize airflow. 2) How Air Flows and Pretty Diagrams. The rack diagrams of cooling patterns in this situation can be more accurate than entertainment centers but only for enclosed racks. The drawings are essentially invalid for open racks because air is flowing in and out of the rack from all directions. In enclosed rack situations, do consider that cooler air should enter the bottom of the rack and then air should be exhausted above each heat producing component and also out the top of the rack. For open racks simply focus on moving air away from the heat producing components. 3) Not all Rack Cooling Products are Created Equal. The number one complaint we get from others rack products is the noise. The reason is simple - racks were initially designed for commercial applications where noise was not an important consideration. It was much more important to keep the commercial equipment cool but when rack manufacturers transitioned to residential markets, they continued to offer the same cooling products. Often times rack companies offer high voltage fans which are usually loud. These fans can also create noise in the electrical system and most of these fans were not designed for vertical mounting but are still mounted vertically. What occurs is the fan spindle rests on the bottom of the bearing and in a matter of months the fans begin getting louder and louder because of the wear on the bearing.